Visitors of Southern California's Santa Catalina Island in recent years have likely caught sight of what first may appear to be small dogs or half-grown housecats. The docile creatures, sporting bushy salt-and-pepper tails, charcoal and brown camouflage coats and outsized ears, seem ready to overrun the island. But nearly 25 years ago, that was far from the case for the Channel Island foxes. The dwarf descendants of the gray fox, possibly first brought to the islands about 7,000 years ago as companions by indigenous people, were in danger of extinction. The population of creatures had been pushed to the brink of collapse by disease and hungry predators. With the support of conservationists and fox fans, the federal government launched a massive recovery effort that included, among other things, a vaccination program to protect the foxes against canine distemper, efforts to control predators and a mating program. The foxes have quickly rebounded across the Channel Islands. After a low in 2000 of just 100 on Catalina, the fox population has increased to more than 1,500. On the smaller San Miguel Island, the fox population rose from a low of just 15 to more than 450 over the same period, according to the U.S. Fish and Wildlife Service. 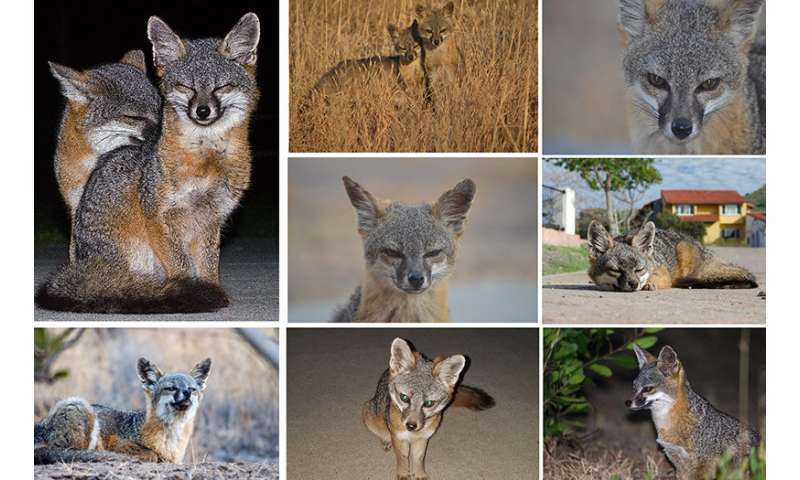 Now, scientists at USC Dornsife's Wrigley Institute for Environmental Studies are researching the foxes' genetics through a comparison of their genomes before and after the near-collapse to see if their genetic diversity has returned to pre-collapse levels. Genetic diversity is an important factor contributing to a more resilient species. "Population numbers don't tell the entire story," said Suzanne Edmands, professor of biological sciences at USC Dornsife. "Genetic diversity can lag behind, potentially leading to difficulty responding to new environmental challenges." Edmands said that one of the Ph.D. candidates in her lab, Nicole Adams, is investigating that very topic for her thesis. Adams collaborates closely with Edmands and is co-advised by Edmands and Xiaoming Wang, a paleontologist at the Los Angeles County Natural History Museum. The work is supported by the Offield Family Foundation. Adams is comparing the genetic diversity before and after these declines. Her findings could help inform any further conservation efforts to support the survival of the island foxes, and perhaps efforts to save other endangered species. Results are expected within the next several months. "The foxes might be fine as long as conditions stay the same," Edmands said.